The World of Warcraft legacy private server will relaunch later this month. 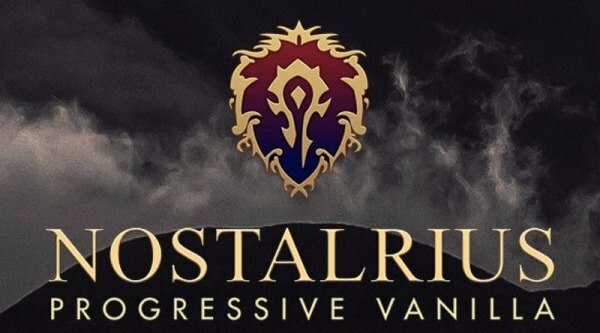 The World of Warcraft Nostalrius private server will launch under a new name, Elysium. Users can register, log in, and play for free using the client software provided on those private servers. The "vanilla" server reopens next week. The relaunch is scheduled for Saturday, December 17 at 5pm UK time/12pm EST. The private server will be resurrected with the help of The Elysium Project. Elysium is a project that was initiated to recapture the original experience of World of Warcraft. The Nostalrius server allowed players to experience World of Warcraft as it originally appeared when it first came out in 2004. The server was shutdown by Blizzard for breaching its terms of service. Blizzard sent a cease-and-desist letter to the original Nostalrius Project. After the shutdown of the server, Blizzard met with the Nostalrius team. In the meeting, Blizzard appeared to be open to the idea of legacy servers. The company seemed willing to support legacy World of Warcraft servers. After waiting for Blizzard to pursue the matter further, the Nostalrius team got fed up. They then revisited their intention of continuing their legacy WOW private server. The Elysium server is the one scheduled to be relaunched on December 17. The Nostalrius team shared code with the Elysium team. According to gaming website PC Gamer, the Elysium server will also contain the Nostalrius database. Gaming website IGN reports that players can continue their progress since all of the data will be carried over. Users who have accounts on either the Nostalrius or Elysium servers will be able to access their accounts and their characters when they log in to the Elysium server. Players who wish to start from scratch can log in to a brand new server According to gaming website Eurogamer, that beginner server will be launched by the Elysium team. The fresh-start server will go live after the PvP and PvE servers are online.